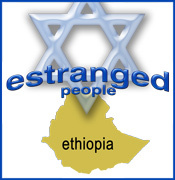 the estranged Jewish people of Ethiopia. By selling their products world wide via this venue, we will have increased the flow of money into their poverty stricken society. We hope that you will want to join in this cause, and also enjoy being the owner of the beautiful handcrafted items found here. Every item on this web site has been made by an individual of the Ethiopian Jewish community! We hope that you will enjoy these beautiful products as well as the satisfaction of helping others.